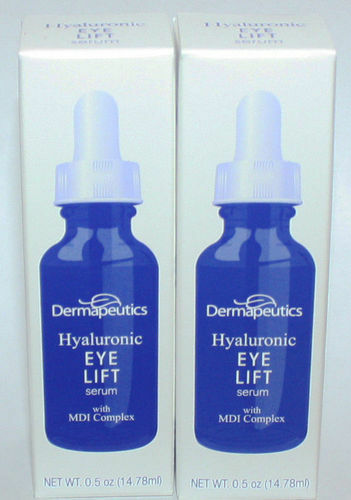 Hyaluronic LIFT Serum: Hyaluronic Acid (HA), one of the body's most important moisture-retaining components, is a naturally occurring substance and is found most abundantly in the skin. However, during the aging process, the natural production of HA decreases. Applied topically, the hydrating and moisturizing qualities of HA bring resilience and youthful contours creating a beautiful lift to your face and eyes. Directions: Apply a generous amount onto freshly cleansed skin, morning and night before moisturizing. Pat gently around eye area using fingertips.